When “The Expendables” came out in August 2010, we all knew that this movie could be a big hit based off the star power it had in it. Written and directed by Sylvester Stallone, it made more than $270 million in worldwide box office sales and was a hit with audiences more than critics. The reason I believe it was so successful is because it was just a fun, action movie that embraced what it was and ran with it. The teaser poster for the film below is pretty simple in design with Sylvester Stallone standing in a hole in a wall surrounded by debris. But not much more is needed when you look up and see the major roster of stars returning to the franchise — along with some expanded cameos and new appearances. Nearly two years after the original, the sequel will takes us down in the trenches with this group of mercenaries led by Barney Ross (Sylvester Stallone) and including Lee Christmas (Jason Statham), Yin Yang (Jet Li), Gunnar Jenson (Dolph Lundgren), Hale Ceaser (Terry Crews), Toll Road (Randy Couture) and newcomers Billy the Kid (Liam Hemsworth) and Maggie (Nan Yu). Taking a seemingly easy job from Church (Bruce Willis), the group gets into trouble in hostile territory when rival mercenary Jean Vilain (Jean-Claude Van Damme) shows up, wrecks havoc with their plans and gets one of the group killed. Now the team must regroup, complete their mission, stop a weapon of immeasurable power from being used and get revenge on Vilain and his lackeys. The movie has beefed up roles for Arnold Schwarzenegger and Willis, along with the addition of Chuck Norris as the character Booker. As if it was even possible, the index of action stars has grown and so has the budget of the film. Stallone has chosen to step out from behind the camera this time around and is being replaced by director Simon West (“The Mechanic,” “Lara Croft: Tomb Raider”). I see this as a positive move on his part so he isn’t stretched so thin on set. So what are your thoughts on this movie and its plot? Are you happy that Arnold Schwarzenegger and Bruce Willis will have amplified roles in the sequel? What about Van Damme as the villain? How about Chuck Norris being in the film? 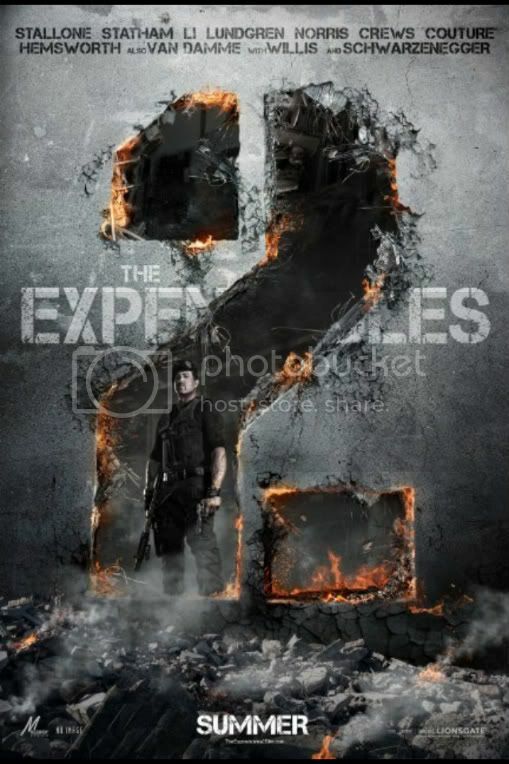 With more stars and bigger action, “The Expendables 2” is promising to be the biggest collaboration of action heroes ever seen in one film. Do you plan on catching the film when it hits theaters Aug. 17?